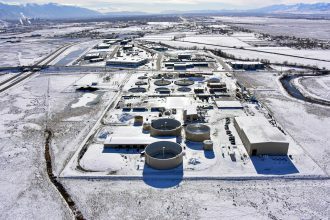 SALT LAKE CITY, UT – Our biogas upgrading project with Wasatch Resource Recovery (WRR) is turning food and organic waste into solutions! That’s why WRR and Morgan Bowerman was honored this month’s ZeroHunger Hero Award by Fox13 and Smith’s “for their zero-waste efforts and bringing the separating machine and anaerobic digestors to Utah.” Currently WRR is only accepting waste from local food producers and packagers, but their goal is to have a resident drop-off program within the year. You can read the article on Fox13 here. Congratulations, WRR and Bowerman! 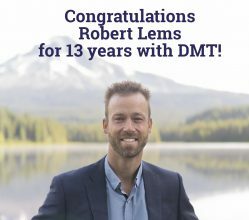 PORTLAND, OR – This month marks the 13th anniversary since our CEO, Robert Lems, joined DMT. Lems is an expert in the field of biogas upgrading, gas desulfurization, and waste water treatment. His previous experience as R&D manager highlights his irrepressible passion for pioneering and market development, particularly for technologies that stimulate the circular economy. Lems believes in a clear and prosperous future and has made it his company’s mission. Since 2015, he has helped DMT establish a local office in Portland and 15 projects in North America. Congratulations, Robert! Raleigh, NC — TUESDAY 10/16, at their 18th annual BIOCYCLE REFOR18, the American Biogas Council (ABC) announced DMT, the technology supplier for a Renewable Dairy Fuels (RDF) project, with AMP Americas as the winner of the “Innovation of the Year” award. 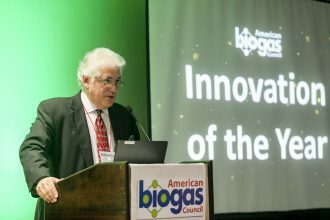 The Biogas Industry Awards was a sold-out dinner celebration, presenting 33 awards to biogas projects across the industry, including Projects of the Year, Longevity Awards, Hospitality Awards, and one Innovation of the Year Award. Winners across the agricultural, municipal and merchant sectors were recognized for their contributions to the growth of the U.S. biogas industry. The AMP Americas project with DMT was bestowed the distinction of the ABC 2018 Innovation of the Year Award for combining two technologies for biogas upgrading, which work well independently, to create an order of magnitude improvement in overall efficiency and cost. Large in scope, the project is a leading example of sustainable farming and a future model for other projects in North America. There are more than 2,200 operational biogas systems in the U.S. today with the potential for over 13,500 new systems to be built. Check out a time-lapse of one of our projects over the last 12 months for the Wasatch Resource Recovery! This rapid progress has us excited for a fully operational facility that is soon underway. Thanks to Aqua Engineering for the video! PORTLAND OR — It was announced this August that DMT Clear Gas Solutions joins the NW Alliance for Clean Transportation (NWACT). 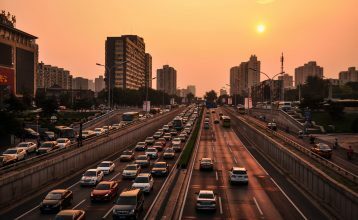 Transportation is a leading source of climate change and air quality pollutants. NWACT is a group of diverse stakeholders with a common mission to promote a cleaner transportation environment through expanded deployment of natural gas vehicles (NGVs). As the technology supplier for renewable natural gas (RNG), DMT is proud to join others who agree that NGVs, especially those powered by RNG, is ready to step up and usher us into the future.